Build the log home of your dreams – without all the hassle. 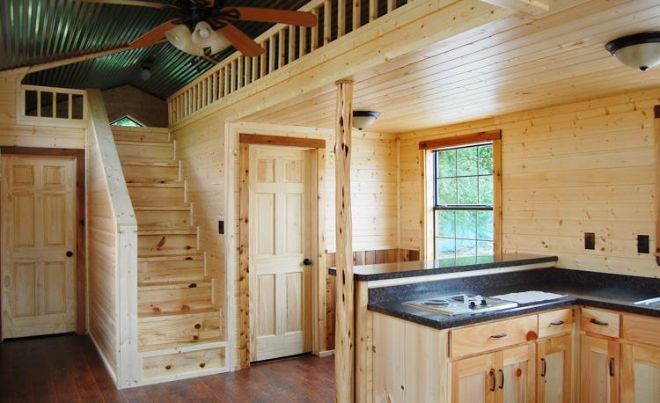 Ulrich Log Cabins will build the rustic home you've always imagined customized – just for you. These incredible properties come in a variety of sizes that are great for entire families, or just a small single cottage. 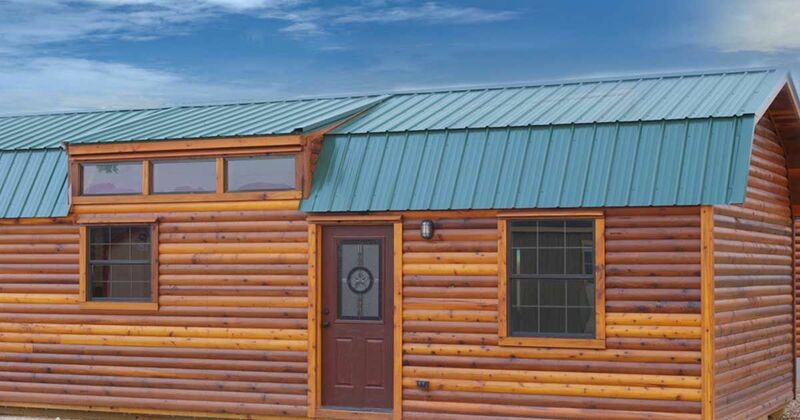 The log cabin here is one of the top of the line models, the Rocky Ridge. 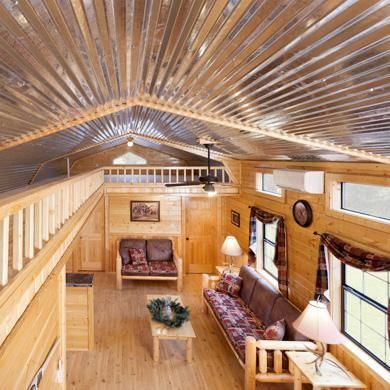 This cabin is plenty large, and quite stunning. Lined in honey-gold logs, this cabin is the perfect rustic retreat from the outside, and the light golden pine walls make inside of this space feel bright and lofty. What's great about this cabin is that the interior is clean and modern, but with the wonderful rustic touches you look expect in a cabin. From the outside you can see these incredible honey-gold logs. Even though the logs are traditional, the architecture is quite modern and that adds a wonderful unexpected twist. 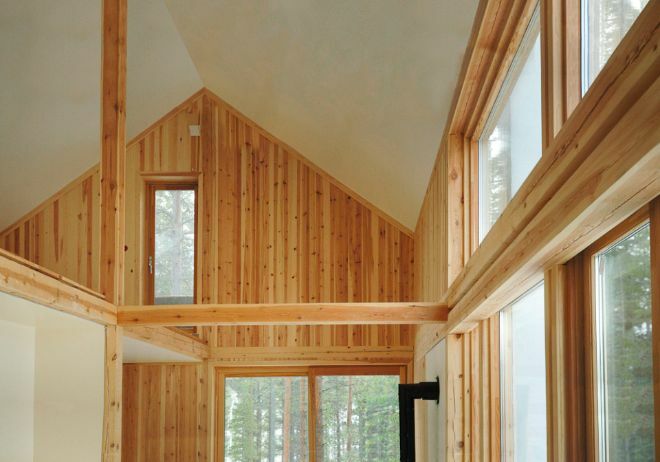 Stepping inside this cabin you can't help but breathe a breath of fresh air. Inside, it's light, bright, and inviting – despite being covered completely in wood. The knotty pine is full of character, but the clean shaker lines in the cabinets, railings, and trim make this space feel clean and modern. Up close in the kitchen you can see some of the real craftsmanship that makes up this cabin. 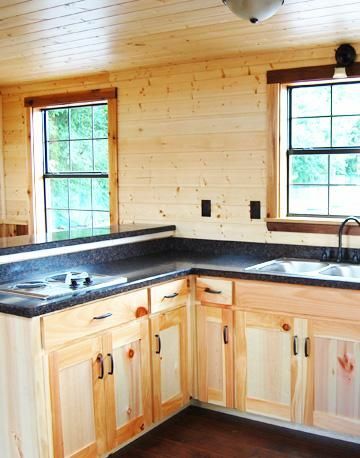 The cabinets are a wonderful variation of wood, and we love the shaker style here that's nice and clean and classic. From up in the loft area you can see how wide open this space really is. The big windows really help because they bring in so much light, but it really is the vaulted ceilings that draw your eye up and around the space making it feel much larger. This is another version of the same home – this time with drywall on the ceilings. The white ceilings make this space also feel bigger and lighter. Plus, we love how the beams are exposed. SHARE this amazing log cabin with the rustic-home lovers in your life.